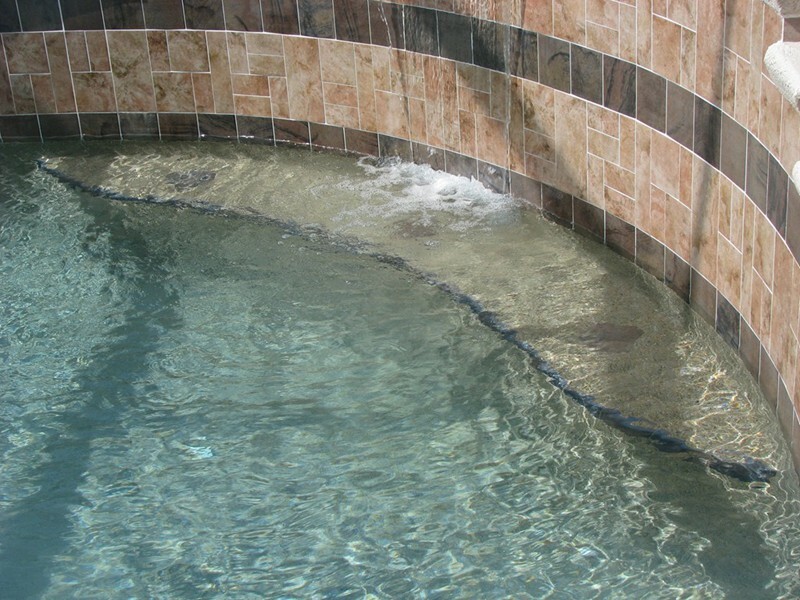 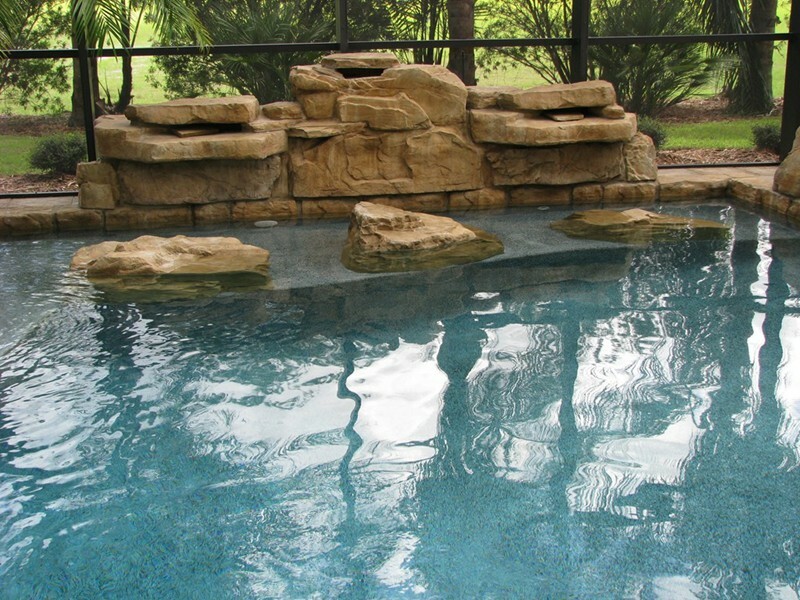 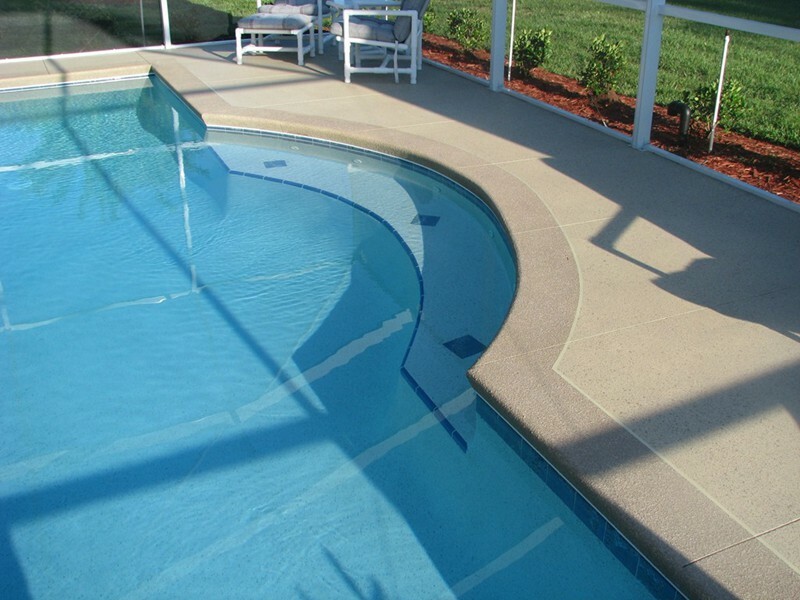 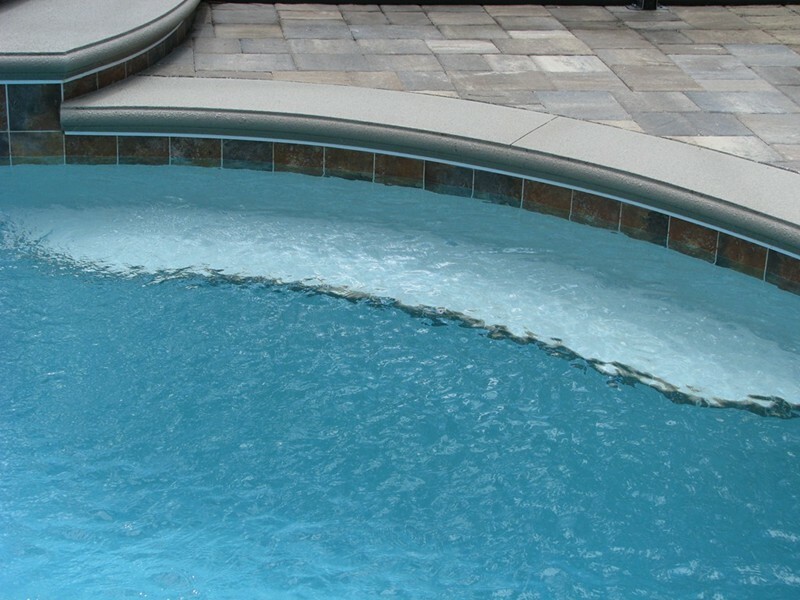 These pool design constructions offer an entrance to the pool for swimmers, although swim out benches are not wide enough for lounge chairs like sun shelves or beach entries. 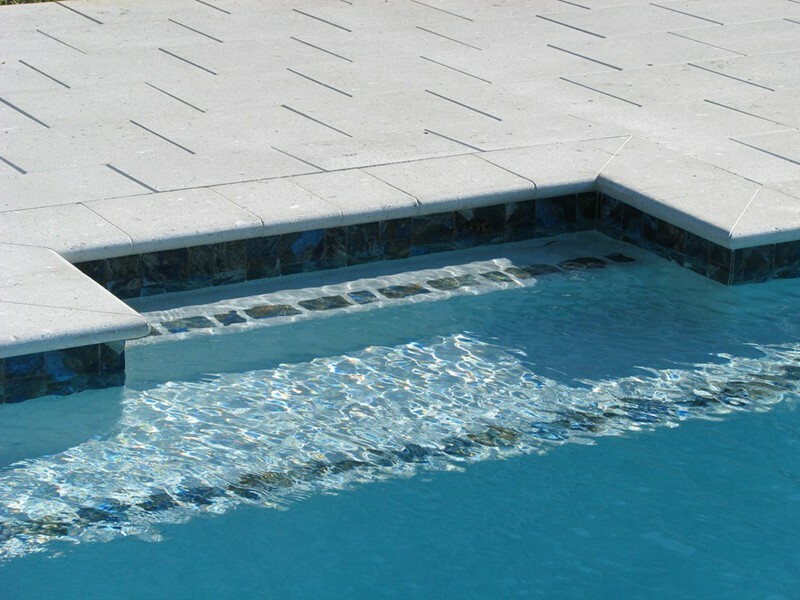 The convenience of a swim out bench is that it does not take up the surface area that pool steps require, yet you are able to enter the pool comfortably as opposed to jumping in. 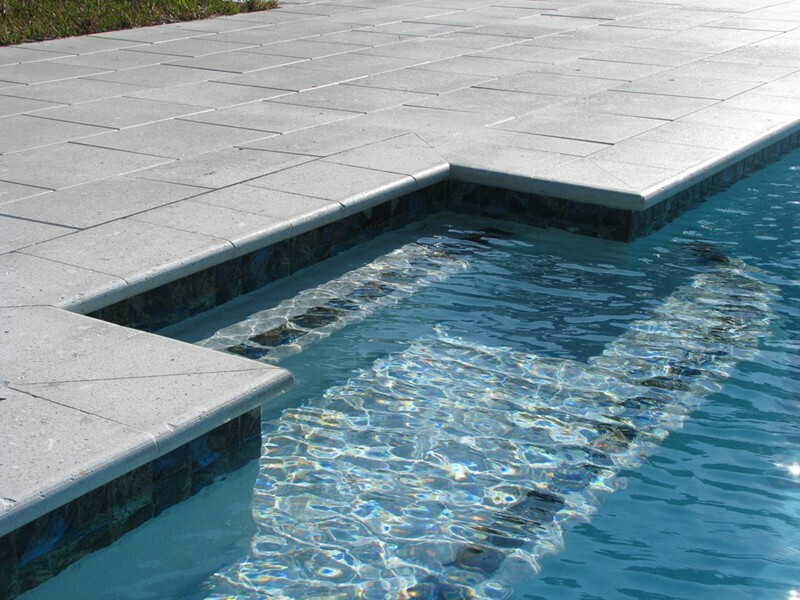 You will find that the swim out bench is often the area of the pool where you most often spend time restfully sitting in the water - it is also a visually enriching pool design feature!